Likes: Feels comfortable on the skin, nice coverage, stayed put on skin the entire day! 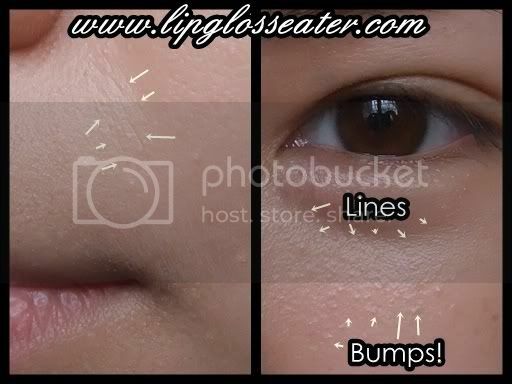 Gripes: Expensive, sinks into fine lines and accentuates bumps! Jenn's Rating: 3 Stars! Ok product, just not for me! This foundation is priced at RM170 (approx. US$45.95), which I think is quite expensive!! 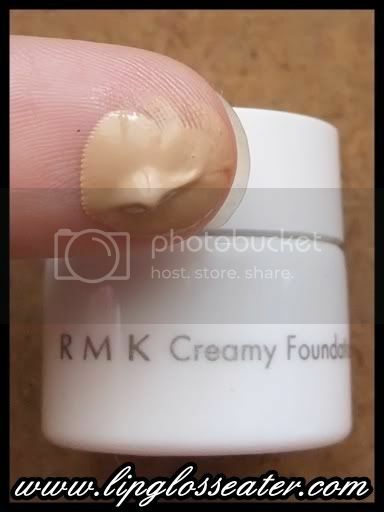 This is available at all RMK counters worldwide. Well to be honest i am a little disappointed with this one! For something so well raved about (and *ahem* expensive), i would expect it to be a little better! While it has beautiful coverage, I didn't expect it to emphasize the imperfections on my face (lines, bumps, flakes). That alone killed it for me. Furthermore, it makes my face really shiny at the end of the day, and i don't even have oily skin to begin with! It looks really good on you! 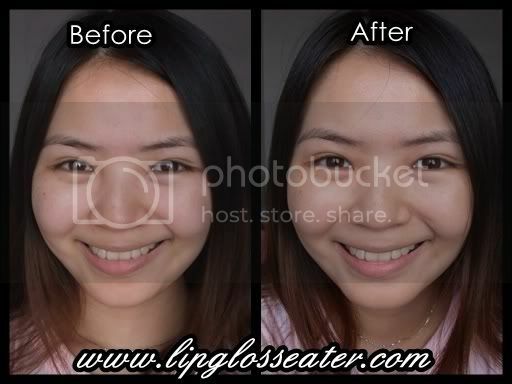 Can't tell that it's greasy in the 4 hr photo, hahaha. exp! so i better stay off. i find powder foundie works for me much better now. maybe i dun need to deal with weird colour tone on me as much! Jenn, honestly I wouldn't pay the price for it either. But I have several sample sachets, also in 102 and I use it over the RMK Creamy Makeup Base, and indeed, I get complimented each time I use this combo. Why not try it over their base? 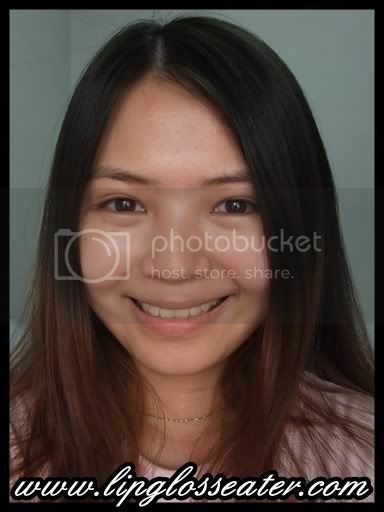 It's a shame that it accentuates lines/bumps on your face. Surprisingly, for me, it was the contrary. Well, I can attest for myself only la. ;) In fact, it even covers, though partially, my dark undereye circle. But the price is definitely too much! Vonvon: icic... thanks so much for your review! Its great that it works for you ya? hi! what MAC shade do you use in studio fix?